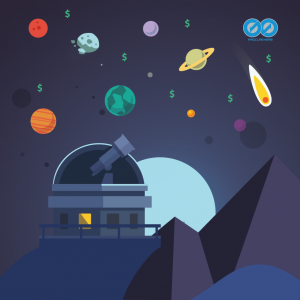 Are you ready for a procurement challenge that’s out of this world? Procurement requires experience and detailed understanding at the best of times. If you’re not creating critical tenders for a vital project, you’re busy ensuring the appropriate strategic oversight to deliver essential supply chain management that keeps everyday operations running like clockwork. According to the 2017 Deloitte Chief Procurement Officer Survey 2017, the top priority for Chief Procurement Officers(CPOS) in 2017 is cost reduction. That’s a challenging enough proposition in any business, and one which Procurehere’s user-friendly e-procurement software was developed to deliver support for customers across the globe. But spare a thought for the procurement challenges of a more extra-terrestrial nature. Procurement requires strategic thinking and an understanding of your environment. Now imagine that environment without gravity. Welcome to the challenges of the world’s most ambitious procurement project – the astonishing International Space Station. This awesome monument to humanity’s ingenuity circles the Earth at a distance 220 miles above the planet’s surface, 450 tonnes of steel and technology that has been home to continuous human habitation for almost two decades. The first piece of the International Space Station was launched in 1998, and over the course of 13 years the station was enhanced and expanded to reach roughly the size of a five-bedroom house, with laboratories, sleeping areas, two bathrooms, and even a gymnasium. That’s a construction project which deserves our admiration. The reality of that achievement is inspiring. The challenges of an established supply chain that has to overcome the tireless grip of gravity – that’s more inspiring still. Today there are six people resident on the ISS, orbiting the earth a total of 16 times a day. That means every 90 minutes the ISS circumnavigates our planet. How do you work out a reliable supply chain management for that? If you’re having trouble delivering cost-savings on your astronomical supply chain, perhaps the realities of the ISS will help make you feel a little better today. Thankfully we can explore valuable insight offered by space station engineer Ravi Margasahayam. Through calculating the maximum payload of a rocket which travels to the International Space Station, it’s revealed that the cheapest possible value for delivered goods to this extra-terrestrial procurement project amidst the stars is a whopping US$9,100 per pound. Not so sure about that supply chain now? 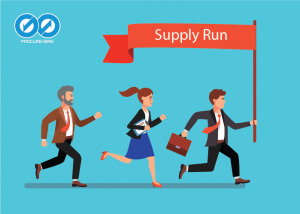 Let’s explore what that means for the average supply run. One apple – $US6,370 – The average apple weighs up to 0.7lbs. That might not sound much, but that vital part of your five-a-day would cost rather a lot on the ISS. A litre of water – US$20,000 – It’s good to stay hydrated, and while the ISS has some very elaborate recycling systems to help ensure you can, sometimes you just want to taste something that someone else hasn’t tasted first. One litre of water? About the price of a nice car on Earth. One durian fruit – US$30,000 – We’re not sure if it’s the right season for ISS shipments of durian fruit, but if anyone had the urge, an average fruit would cost around US$30,000 to ship. A coffee machine – US$400,000 – It doesn’t matter whether you’re floating 220 miles above the Earth or sitting at your desk, coffee is vital to start any day. The space-faring citizens of the ISS agree, that’s why they had their own specialist espresso machine flown up to keep them company. At a shipping cost of around US$400,000, even before the coffee is factored in, that’s quite the addiction. So the next time you’re sitting down, scratching your head and trying to get your supply chain to work out, don’t forget it could be a lot worse. And if you want a simple solution to your Earth-bound challenges, Procurehere’s user-friendly e-procurement software can help. No rocket ships required.